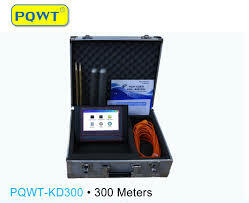 PQWT-KD series automatic mapping cave detector is based on the earth’s electromagnetic field as the field source, based on the difference in the conductivity of different underground geological structures, and by studying the variation law of the electric field components at different frequencies to study the geological structure and changes, to search the underground geological areas such as underground mined area, caves, loose soil, tunnels, and ants, and has a very good detection effect on engineering geology, archeology, and disasters. 1. The instrument can automatic mapping and get result on site. 2. The instrument is light, portable and can be operated by a single person. 3. Optional the rough measurement and accurate measurement find outliers to reduce the workload. 4. Apply to multiple and complex terrain exploration. 5. Fast measurement, strong anti-interference ability, high accuracy. 6. The free and professional technical guidance 24 hours online.